Beginning life as the concept Project Velocity presented for the first time at DRUPA® 2012, the Océ ColorWave® 900 high speed poster printer closes the gap between digital inkjet and traditional offset printing technology. 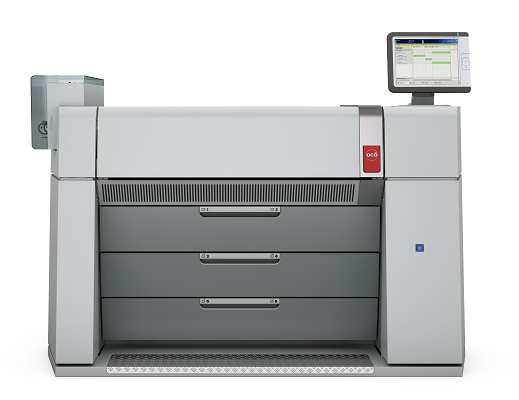 Designed for the GA (Graphic Arts), AEC (Architecture, Engineering and Construction), and GIS (Geographic Information Systems) markets, this wide format poster printer offers a digital workflow that can help increase productivity, lower running costs and increase flexibility for variable data and short- to medium-run length print jobs. Print length x width 98' × 42"